This month’s tasting was focused on butternut squash! Students were able to taste Butternut Cranberry Bread. It was a big hit, so in case you want to try it at home, the recipe is below. Please note, the original recipe we received is for 50 servings. We attempted to convert it for 10 servings, however we haven’t had time to test it to make sure the conversion is 100% correct! Beat together squash, sugar, water, eggs and oil in a large mixing bowl or mixer until combined. In a large bowl, whisk together the flour, baking powder, salt, baking soda and spices. Add the dry mixture to the squash mixture, mixing at a slow speed and scraping down the bowl if necessary, JUST until thoroughly combined. Mix in cranberries very briefly or by hand, just to combine. Pour batter into grease loaf pan. Bake until tester comes out clean. Convection oven: 325°F about 15-20 minutes. Conventional oven: 350°F about 25-30 minutes. It was another beautiful fall in the Bell gardens and outdoor classroom space, even amidst the rainy days that seemed to regularly fall on my days with Mrs. Spillane’s Kindergarten class! Exploring and enjoying the outdoors through various weather patterns is fun for the kids, and it opens their eyes to how plants, insects and other living creatures adapt. Kindergarteners laughed through many literacy-based lessons —a couple favorites — Sylvia’s Spinach and Sophie’s Squash. We took the Sophie’s Squash lesson to new lengths this year with one class doing exactly what the storybook character, Sylvia, does: we buried the class squash, “Sparkles”; made a sign to mark her spot; and predicted what we would find in the spring after she decomposed! Yes, Kindergartners know all about decomposing vegetables! Many First Grade classes let their creative energy flow designing, creating, and presenting habitats for a garden creature of their choosing! 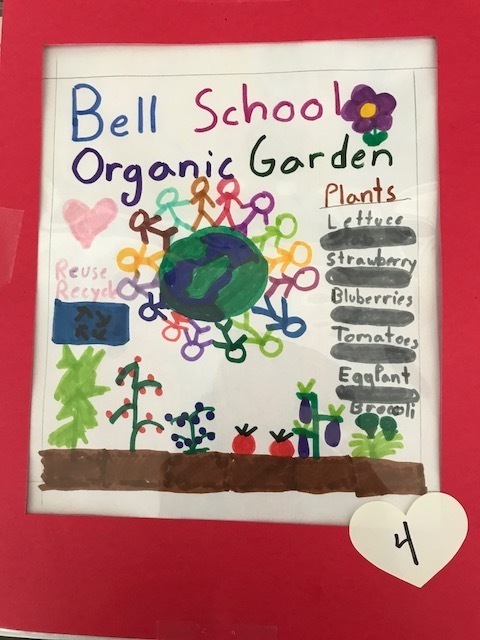 After talking about the many living creatures that call the Bell Garden their habitat (foxes, turkeys, raccoons, birds, worms, rolley-polleys and so many more), the children were shown a variety of recycled materials they would use to create a habitat, and then they were set free to create! It was difficult to bring this activity to a close. The children were engaged —and many who may not always find the garden to be their cup of tea. This was exciting. The presentations were adorable, detailed, and spoken with pride! Second Grade embarked on a 5-part lesson and a favorite of mine…ALL THINGS WORMS! You may not realize how many worm experts we have within the Bell Community! The kids learned and experienced building a “worm hotel” (to observe worm’s role as recyclers of our food scraps) and a “worm skyscraper” (to observe worm’s tunneling capabilities that provide water and oxygen to plant roots). They learned about worm’s body parts and experimented with the worm’s sense of smell (worms don’t have noses but do have sensory capabilities through their skin). 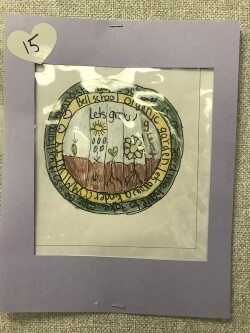 The kids took to writing about their worms, and ultimately putting them into the garden —their natural habitat —to do their very important job of improving the quality of our soil. A Third Grade class learned about cover crops and the value they provide to a garden (nutrients for the soil) that is being “put to bed” for the winter, and then planted a variety of seeds: crimson clover, winter rye, hairy vetch, and tilling radish. Although the cold weather has set-in, stay tuned for information about 2nd Graders working, playing and learning with Change is Simple (http://www.changeissimple.org/), an environmental education group out of Beverly. We are thrilled to have received a grant from the Friends’ of the Marblehead Public Schools for a 3-part workshop that will begin in March. Bell School first graders spent time in the Upper Bell Garden last week comparing plants by studying their different qualities through touch, sight and smell. Students visited three different stations looking, smelling and feeling three types of mint, sage and thyme. They wrote down their observations such as what do they smell like; how do they feel; what is similar amongst the 3 plants; and what is different? There was busy chatter at each station as children shared their observations with one another such as, “The hue of three mint plants is the same!” and, “For some reason this mint plant reminds me of apple juice!” Maybe because it was an apple mint plant! Thank you to everyone who came along to our Garden Fundraising event on Thursday May 17, 2018. We wanted to let you know the winners of the various contests and prize draws. These were announced in school today (Monday May 21) and the kids should be receiving their prizes in the next day or so, if they haven’t already got them! First, the LOGO DESIGN CONTEST. What a wonderful display! We had 41 logos entered and 242 votes were cast. Thank you to all the kids who took the time to come up with a design and everyone who took a look and voted! We’ll be announcing our plans for these three designs in the next couple of weeks, so please stay tuned! We’ll be returning original designs to all the artists too. 1st place goes to LIAM PYNE – who got the most votes for this fun, colorful design. 2nd place goes to ASHLEY HAYES– with this professional looking design with a great message about being kind, caring and growing strong. 3rd place goes to SYDNEY PALAMARA – with her bright, comprehensive design. We hope all the kids enjoyed taking part in the SCAVENGER HUNT. We had a prize draw for everyone who participated and brought back their slip. Our three winners are: SAM NORTHROP, ANNIE WALES and CLARK ROSZELL. Finally, thanks to everyone who bought RAFFLE TICKETS for the Italian gift basket from Wholefoods. The winner is HUDSON MOORE! We’ll be in touch to arrange how to get your prize to you this week. Thanks again for coming along and supporting our first Spring Fundraiser. We hope you enjoyed it! 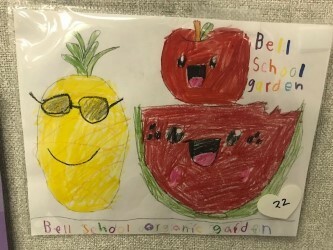 We’re still totaling up money, but we’ll let you know how much we raised to support the Bell School Organic Garden within the next few days. To get a taste of the programs the money will fund, please check out our garden pages! Don’t forget too to have a look through the wonderful photos kindly taken by the talented Vicki Hendrix. There’s some amazing shots in there – and you can download them for free!